Eliane Radigue works with electronic sounds on tape to create an ambiance within which sound seems to move in a continual flow around the listener. Born in Paris, France, Radigue studied electroacoustic music techniques at the Studio d' Essai at the RTF, under the direction of Pierre Schaeffer and Pierre Henry (1957-58). She was married to the artist, Arman, and devoted ten years to the education of three children, deepening classical music studies and instrumental practice on the harp and piano at the same time. In 1967-68 she worked again with Pierre Henry, as his assistant at the Studio Apsome. Becoming a Tibetan Buddhist in 1975, Radigue went into retreat, and stopped composing for a time. In 1984 Radigue received a "bourse à la creation" from the French Government to compose Songs of Milarepa, and a "commande de l'état" in 1986 for the continuation of the Milarepa cycle with Jetsun Mila. Performances of her music have taken place at galleries and museums such as: the Salon des Artistes Decorateurs (Paris), Foundation Maeght (St. Paul de Vence), Albany Museum of the Arts (New York), Galerie Rive Droite (Paris), Gallery Sonnabend (New York), Galerie Yvon Lambert (Paris), and Galerie Shandar (Paris). Radigue has also performed at numerous festivals including the: Festival de Como (Italy), the Festival d'Automne a Paris, Festival Estival (Paris), International Festival of Music (Bourges, France); and at the New York Cultural Center, Experimental Intermedia Foundation (New York), The Kitchen (New York). 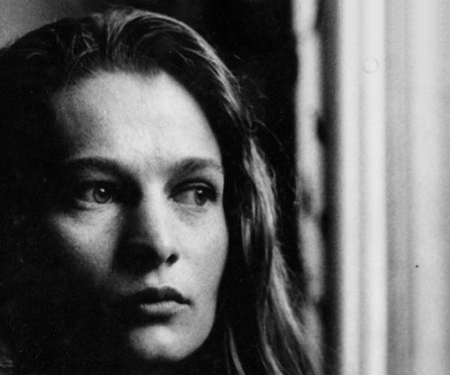 Eliane Radigue has appeared on many broadcast programs including France Culture, France Musique, distribution via satellite covering over 50 stations in the U.S. including special programs on KPFK (Los Angeles) and KPFA (San Francisco). She currently lives in France, where she continues to compose electronic music and study the teachings of the Tibetan lamas. Fennesz uses guitar and computer to create shimmering, swirling electronic sound of enormous range and complex musicality. Christian Fennesz is known from his own particular musical world as well as his impeccable work in creating beautiful compositions for guitar. He has been recording and also performing with Ryuichi Sakamoto and playing live with Keith Rowe, Sparklehorse, Mike Patton and many others. Somewhere between concrete music, classical and ambience sounds, he stretches musical resources and effects to create melodies and atmospheres that fuse classical and orchestral concepts with conceptual musical research and complex digital structures. 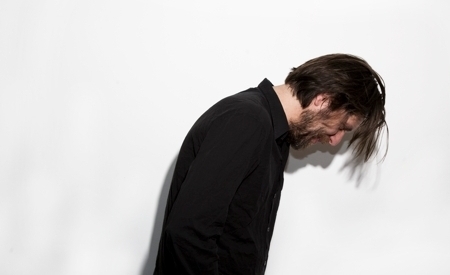 Fennesz has also worked alongside Peter Rehberg and Jim O'Rourke in the improvisional trio Fenn O'Berg, and with David Sylvian who sang on his album "Venice" and for whose album "Blemish" Fennesz composed "A Fire in the Forest". Fennesz lives and works in Vienna and Paris. Novi_sad (Thanasis Kaproulias) graduated from the Economic University of Piraues. He lives and works in Athens, Greece. 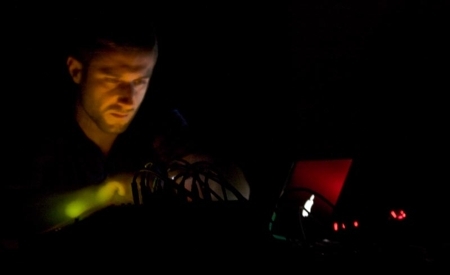 Influenced by the pioneers of audio assault, he began generating sounds in 2005. Amplified environmental recordings, drone manipulations, structured ambient soundscapes, microtones vs overtones, all come together in a hyper structure of iconoclastic form. Novi_sad’s artistic output displays a high level of technical ability, as well as a sensitivity to the nuances of location. Some of his projects are primarily focused in architectural acoustics and the relationship between architecture and sound. Novi_sad has worked and collaborated with noted artists like: Francisco López, BJ Nilsen, Daniel Menche, Zbigniew Karkowski, Mika Vainio, Richard Chartier, CM von Hausswolff, Jacob Kirkegaard, Carsten Stabenow, Helge Sten, Beckie Foon, Scott Konzelmann and others. His audio works are available from labels such as Sedimental (US), Touch (UK) and Staalplaat (NL). Novi_sad has performed his work live in cinemas, industrial spaces, theatres, churches, museums, galleries, squats, and in festivals such as: Mutek (Montreal) Ultrahung (Budapest), Gaudeamus Music Week (Amsterdam), Suoni per il Popolo (Montreal), Observatori (Valencia), Field recordings festival (Berlin), Full-Pull (Malmö) and others. Thepersonwhodidthis treats music as an agent of emotional change building his cross-genre compositional approach on the instantaneous manipulation of listener expectations. An explosive performer and keen improviser, his live set features animated phonetic gestures and a custom-built, body-sized, touch-sensitive interactive controller called Woodyson.